Boat access at Howard Prairie resort is now closed. While the marina, restaurant, and North Campground are closed for the season, the resort’s South campground should remain open through October. Smaller watercraft such as kayaks or canoes can still be launched. The access road to the dam, scheduled to be open this fall, remains locked. 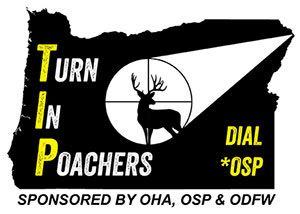 ODFW will provide updated information as soon as possible. Anglers can still walk the shoreline and fish the point to the south of the dam. Trout fishing should pick up with cooler water this fall. Fall fingerling trout have been stocked this week. Please handle these undersized trout with care and release them unharmed. The shoreline near the dam and near Fawn Island can be very productive during periods of low water.